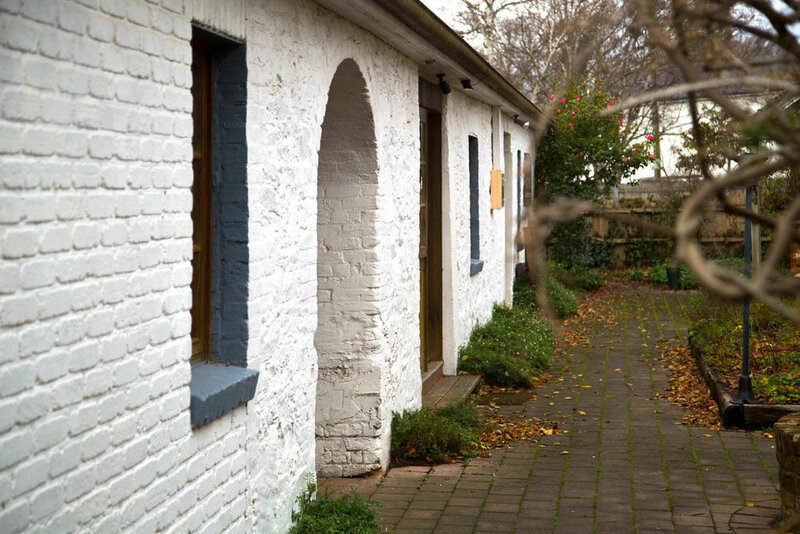 The Evandale Village Store is located in the quaint heritage village of Evandale, only a short 15 minute drive from the centre of Launceston. The shop is in the original village store that was built in 1843. It was purpose built as a general store and has operated continuously since. The shop interior still has the original 1843 fitout with an Australian cedar counter and solid pine (celery top, king billy and baltic) shelving with a cedar lip. Due to its completeness and condition it has a Heritage Preservation order and has been listed with the National Heritage Register. In it's current incarnation, The Evandale Village Store has a beautifully curated collection of things from both Tasmania, the Mainland and from further afield - including Europe, New Zealand and the US. 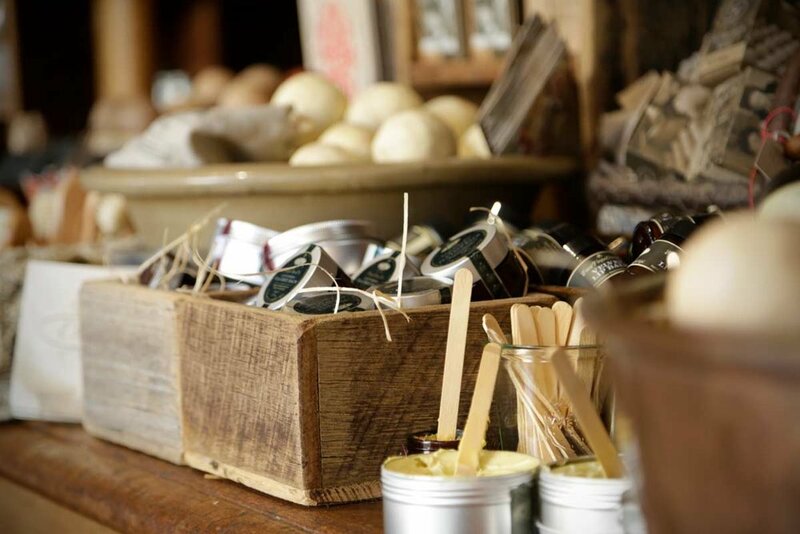 From locally made honeys and jams to Donegal knitwear from Ireland; locally handmade organic body products to natural brushware from Germany. Our Stables Accommodation is located at the rear of The Village Store and offer the perfect location to stay a few days and tour the district. 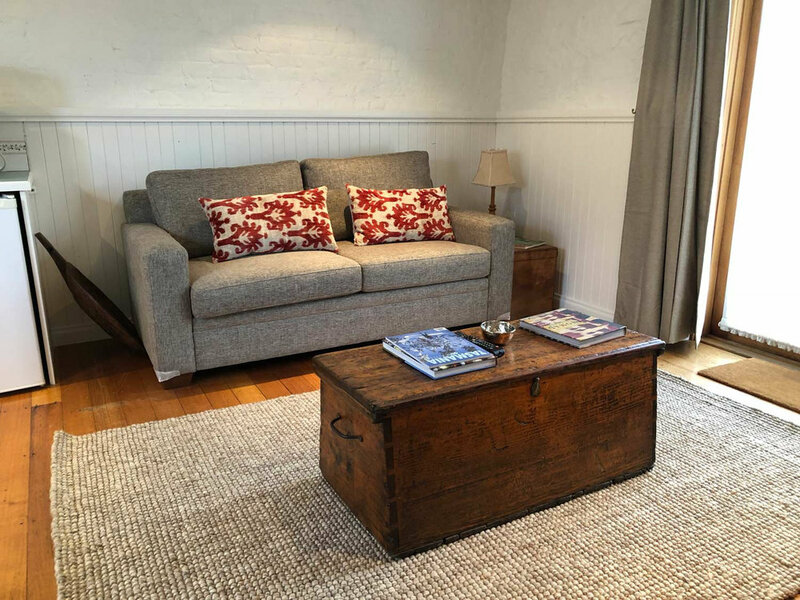 There are three self contained cottages each with a queen bed and a small kitchenette. Your choice of breakfast provisions are placed in the cottage after check-in. We are located only a few minutes drive from the Launceston airport and only 15 minutes drive from the centre of Launceston. Evandale is also only a short drive to tour the Relbia wine region to visit wineries such as Josef Chromy, Sharmans Wines and Jigglers Creek wines. The Ben Lomond Ski Park lies to east of us and the National Trust listed estates of Clarendon, Brickendon and Woolmers are all a short drive away. The National Rose garden at Woolmers is a wonderful place to admire over 2000 roses in a formal garden setting. Remember to book early if you plan to stay with us during The National Pennyfarthing Championships which are held annually in late February. Click the button below to view more information about our accommodation and booking details. The Evandale District is situated 4 minutes south of the Launceston airport, 15 minutes from the centre of Launceston and less than 5 minutes from the main highway to Hobart. 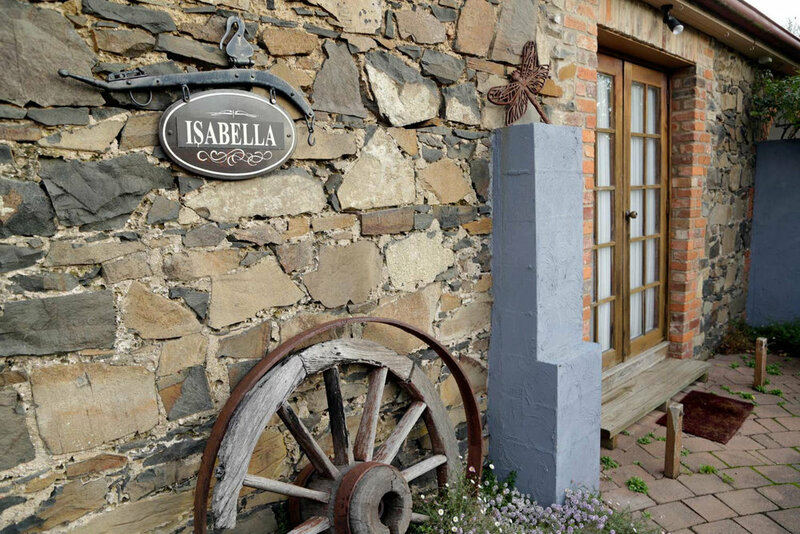 Make The Evandale Stables your base during your visit to Tasmania. It will give you quick and easy access to the North, West, South and East coasts. Evandale is one of the best preserved historic towns in Australia with it's Georgian and Victorian buildings offering a unique glimpse into Australia's past, with buildings dating back to as early as 1809. Evandale hosts a wonderful Sunday Market each week. The National Pennyfarthing Championships are held in late February and the John Glover Prize in early March. Evandale is the perfect location to stay a few days and tour the district. It is only a short drive to the Relbia wine region to visit Josef Chromy, Sharmans Wines and Jigglers Creek wines are within 10 minutes. The Ben Lomond Ski Park lies to the east of Evandale. National Trust listed estates of Clarendon, Brickendon and Woolmers are all within 15 minues. The National Rose Garden at Woolmers is a wonderful place to admire over 2000 roses in a formal garden setting. Stay a few days and plan easy day trips to MONA (95 minutes), The Tamar region (30 minutes) , the Great Lakes District (60 minutes), the east coast - to pick up fresh sea food (90 minutes). The Evandale District is situated 4 minutes south of the Launceston airport, 15 minutes from the centre of Launceston and less than 5 minutes from the main highway to Hobart. Make The Evandale Stables your base during your visit to Tasmania, it will give you quick and easy access to the North, West, South and East coasts.